Alison draws some connected bunkers. It was the same also in Tokyo GC Asaka course. I introduced Fujisawa CC from the list of Lost links of Japan last year. Club house built in 1932 is a in existence though Course disappeared. Tokyo GC Asaka Cse and Fujisawa. He found one matter from a lot of material. It had been to have described Alison to the design of Fujisawa as an adviser. The designer of Fujisawa CC is Shiro Akaboshi. However, Alison drew the layout chart. And, course was made according to it. In a word, the name of the designer should be formally " Akaboshi/Alison." Please see course list described in book "Colt &Co" by Fred Hawtree. It is described to the list of Japan of Alison as Fuji CC Original CHA 1932. However, Fuji CC doesn't exist in Japan at that time. Fuji CC was Fujisawa CC. As a reason for the difference of the club name. When Alison visits. The club committee has might the idea named Fuji CC. It is because magnificent Mont Fuji was able to be commanded from golf course. Alison has not described the name of Akaboshi to the designer. It introduces it as a work of own Solo. Bunkering of this layout is not in the Akaboshi brother's design philosophy. They were long hitters who measured the same distance as Gene Sarazen. And, they disliked fairway bunker and cross bunker that prevented long drive. It can be understood from Abiko and Hakone, etc. that are their typical works. Alison designed golf courses four original in Japan. but, two in that were lost Links. It's Tokyo GC Asaka course and Fujisawa CC. Geoff Shackelford introduces the report of Tom MacWood in his Blog. "For architecture junkies, C.H. Alison's trip to Japan has always been one of the greater mysteries. Was his work as dynamic there as it was elsewhere? And of course, why did the better courses lose many of their best features? 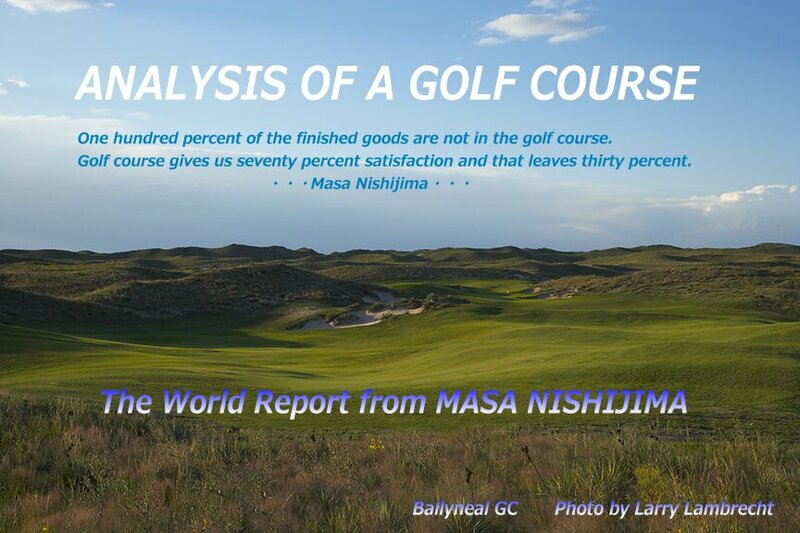 Tom MacWood contributes another outstanding "In My Opinion" piece to golfclubatlas.com. well, if you're an architecture junkie." This figure is a comparison of Golf course to a present residential quarter.